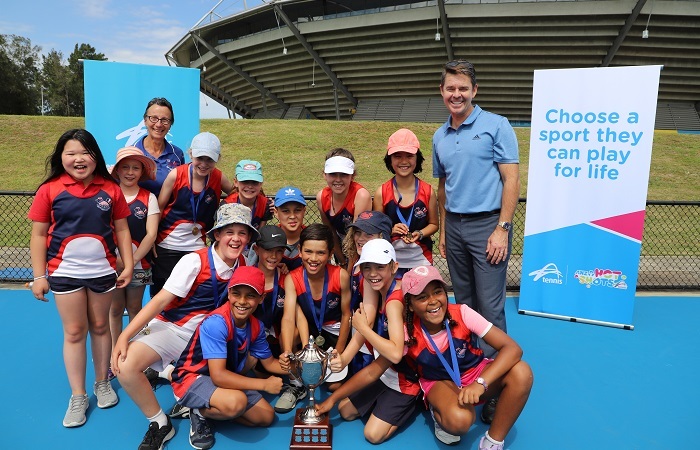 Telopea Park School has become the first ACT school to win the Todd Woodbridge Cup after claiming the title at Sydney Olympic Park Tennis Centre on Monday. Established in 2016, the competition for Year 3 and 4 students uses modified courts and low compression red balls. The competition encourages participation, providing a positive experience playing tennis, growing friendships and giving students the opportunity to represent their school in a team environment. After winning the ACT State Final in September, Telopea Park progressed to the finals to compete against 19 schools from all across NSW who had won their regional events. After going through five pool rounds undefeated they progressed through to the final where they defeated St Patrick’s School, Albury. Telopea Park School PE Coordinator, Cathy Marot was pleasantly surprised to come away with the victory, with the kids enjoying the social aspect of the day. 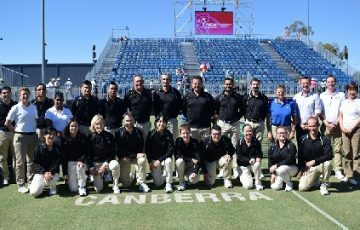 “We didn’t go there to win, we went there to participate, be part of it, for the kids to try their best and enjoy the unique experience to play at Sydney Olympic Park and to have fun. The team has been training for the event for the past five months, working with their local coach, Robbie Manzano. “When we heard about the event, we worked with Robbie, who is associated with the school for tennis. He has several programs, including a walk to tennis program from our school. Tennis Australia School Competition Coordinator, Ben Dew, was pleased with the success of the day and hopes it will encourage participants on their tennis journey. 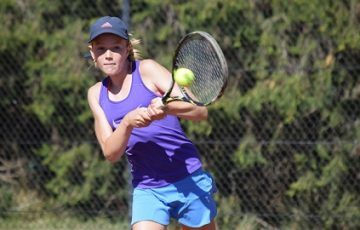 The competition has seen rapid growth over the past three years with the 2018 Todd Woodbridge Cup consisting of 50 events played by 262 schools with 5041 kids participating across NSW and the ACT. Dew said the modified equipment along with a positive team environment were key to the competitions success. 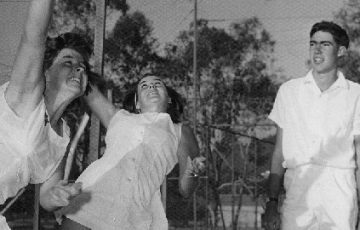 “It is a modified tennis competition that we haven’t had before, it’s something that is quite new and being able to run these events not only a tennis clubs, but at primary schools around the state that don’t have tennis courts, has been a key factor in getting more Todd Woodbridge Cup events. “It’s really pleasing to see kids having a positive first experience of tennis competition. It’s a team environment and it’s modified, and more of a focus on having fun and being inclusive,” Dew added.